Will NY sports betting move ahead under previous allowing it at commercial casinos? Start spreading the news: New York sports betting is leaving today. Despite bills with some momentum in both houses, New York state legislators closed their session Wednesday without passing a new sports betting bill. 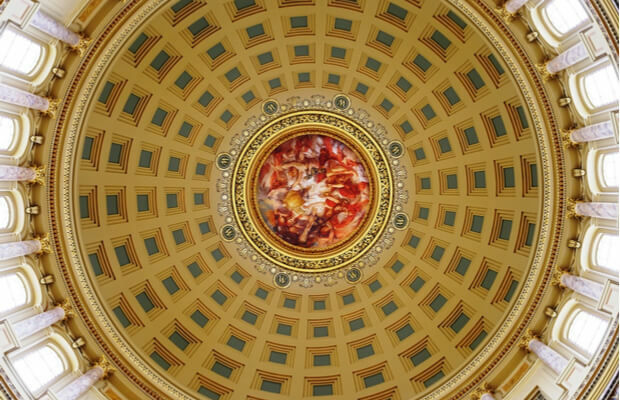 The end officially came after 11 p.m., when the Assembly side adjourned for the session. It remains possible that limited sports betting could come to the state this year under a 2013 law. Widespread adoption will wait at least another year though, much to the chagrin of sports leagues hopeful for integrity fees. Gov. Andrew Cuomo and Assembly Speaker Carl Heastie both expressed skepticism throughout the month that sports betting would pass this year. Sen. John Bonacic and Assemblyman Gary Pretlow pushed bills in their respective chambers, but lawmakers reached no consensus on either. The NBA and MLB suffer the most with the death of New York sports betting this year. The bills in both houses contained the integrity fees — or royalties, as they tried to rename them — they sought. The form of the fee changed a couple of times during the process. Final versions of the bill would have given the leagues a fifth of a percent of all wagers. Earlier drafts included a quarter-percent to the leagues, but with a cap of two percent of revenue. Either would have handed them an enormous victory as they fight for a cut of sports betting revenue. After striking out on integrity fees in West Virginia sports betting and New Jersey sports betting laws this year, the leagues looked at New York as their best chance. They likely hoped to hold up the New York sports betting legislation as a model for other state legislatures to copy. Without a law, the leagues essentially go back to the starting line with other states as they consider sports betting. Beyond the integrity fees, the leagues received the ability to decide where some forms of official data come from. They also could have secured direct involvement in integrity monitoring and any potential investigations. Bettors looking for action in the Empire State might have some hope left. State regulators indicated last month that they might issue New York sports betting rules regardless of the legislative outcome. Ron Ochrym, the executive director of the New York State Gaming Commission, told the body’s board that four upstate casinos could be approved for sports betting under existing law. Existing law would not include racetracks or mobile wagering, though, and the plans of Native American tribes are also unclear. A call to the state’s gaming commission Wednesday was not immediately returned. Draft constitutional amendment language kicking around NYS Capitol to add 90 words to Constitution permitting #sportsgambling in New York. Allows: online on pro/college contests, via casinos, OTBs, tracks, Aqueduct's racino. Unlikely, but this is Albany & last session day of '18. That plan never received serious consideration, however. New York will leave behind statewide sports betting this year and potentially lose a market advantage to New Jersey. After winning its lawsuit at the Supreme Court last month, the Garden State enacted sports betting last week. Given the proximity between the states and New Jersey’s plan to start online wagering next month, New York could see potential bettors migrate across the Hudson River.